Many floor manufactures around Europe carry out ramp tests with motor oil in order to classify their products according to the scale of slipping. These tests are generally regulated by the German regulation, DIN 51130. As well as this, the TBC exists, Technical Building Code, whose basic security document regarding the risk of falling clearly defines the requirements that floors must have in order to be able to be used in areas such as: Residential, Public, Public Health, Schools, Business, Administration and Public arenas. 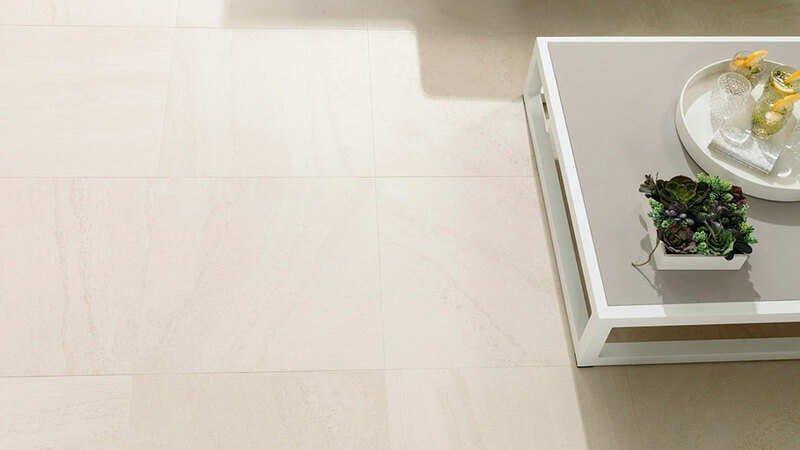 In terms of its resistance to slipping (AS), floors are classified in class 0, class 1, class 2 and class 3.PORCELANOSA Grupo ensures this security premise by providing a wide range of perfect outdoor and indoor anti slip floor tiles. 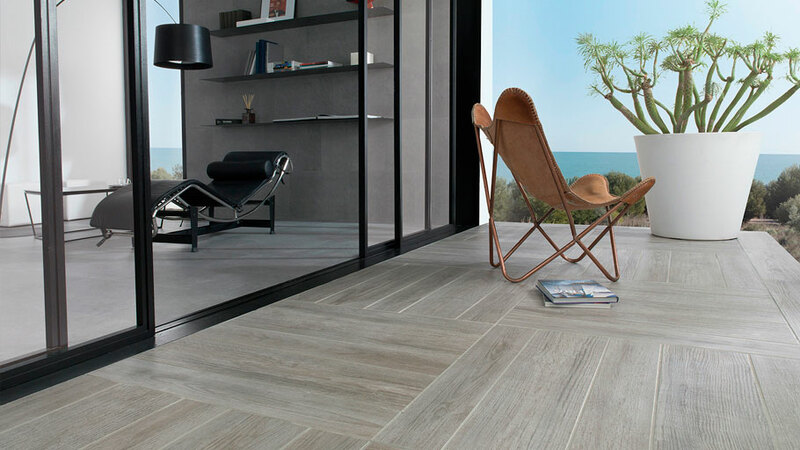 From ceramic parquet or ceramic stone from Venis and Porcelanosa, to the vinyl floor and the outdoor decking from L’Antic Colonial or the through-body porcelain from Urbatek, among others. 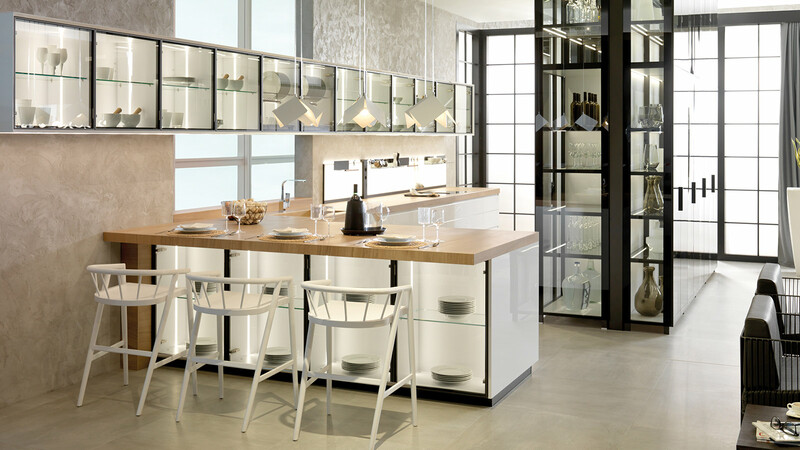 The projects range with optimum performance is so wide, just like its stylish, sophisticated and contemporary designs. 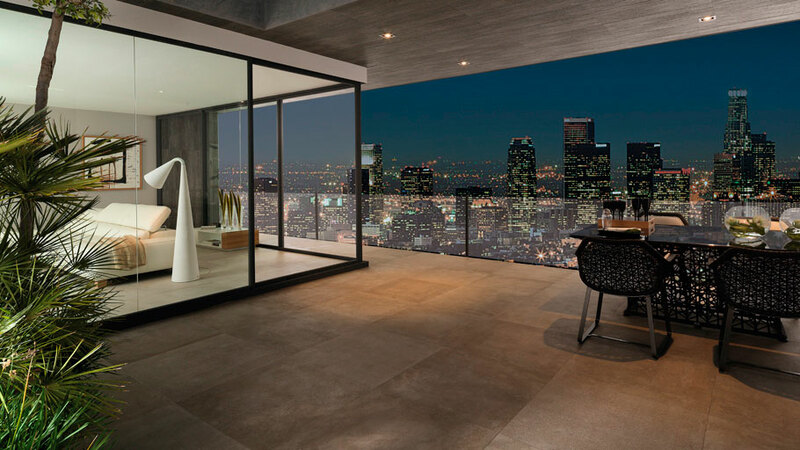 Taking into account the floor tile features that will be installed outdoors does not necessarily imply giving up on an exquisite design. Today, the innovative production processes allow for making ceramic high quality materials and design safety, very true to natural surfaces such as wood or stone. 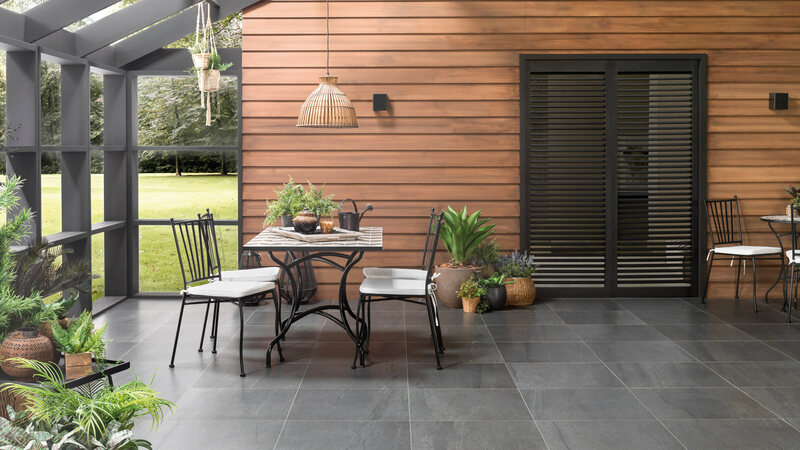 Slates, sandstone and limestone represent variants of widespread natural stone for outdoor flooring in a rustic way or light wood in grey and whitish tones which make modern or minimal spaces stand out. 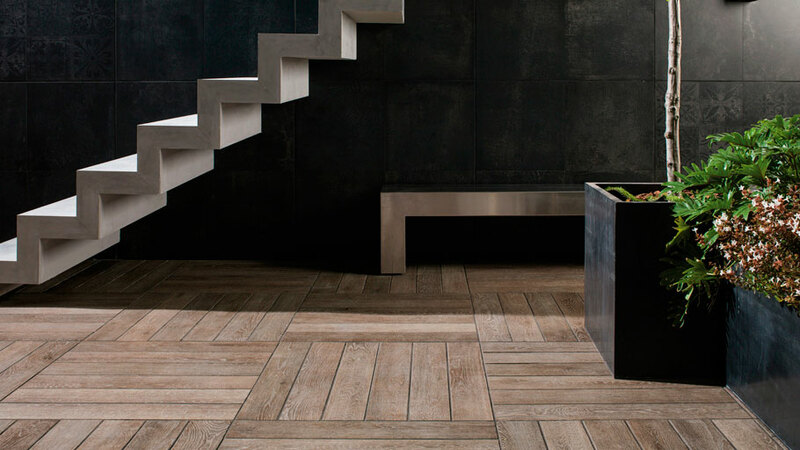 PORCELANOSA Group offers these natural finishes, and does so through a series of PAR-KER wood inspiration ceramic parquet such as Ascot and Chester from Porcelanosa, or Hampton and Tavola, the latter from Venis. 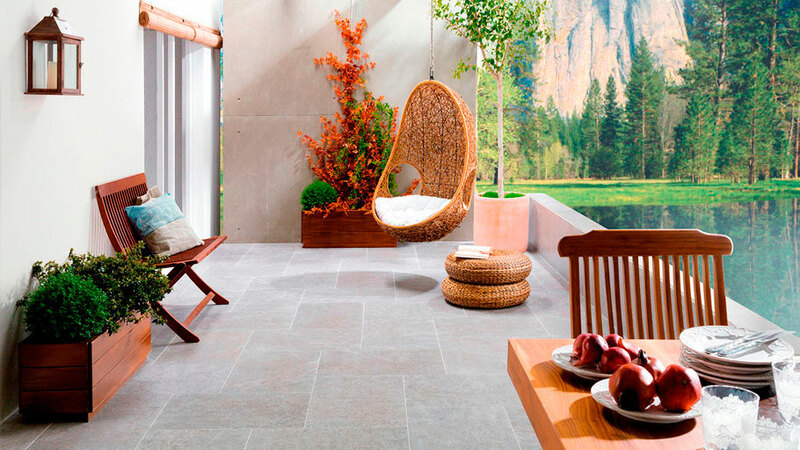 Furthermore, with regard to the highly resistant and anti-slip STON-KER ceramic stone, collections such as Dover or Samoa; or Cascais, from Porcelanosa and Venis respectively are proposed in different tones and finishes. Both porcelain-manufacturing firms ensure a high level of anti-slip number 3 by means of the use of techniques such as the NANO-KER technology or the technical grain. On one hand, NANO-KER provides the flooring with a softer finish, which greatly facilitates cleaning. Its use is recommended in single-family homes except for swimming pools. Furthermore, with regard to the technical grain, it has a rougher finish and its use is clearly recommended for swimming pools, as well as for urban paving and outdoor public use. 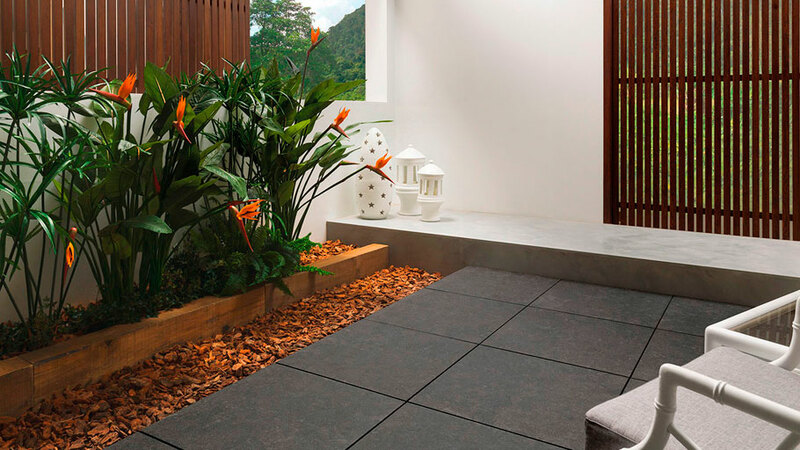 Sand is one of the other finishes that is imitated by the ceramic materials dominating outdoor spaces. 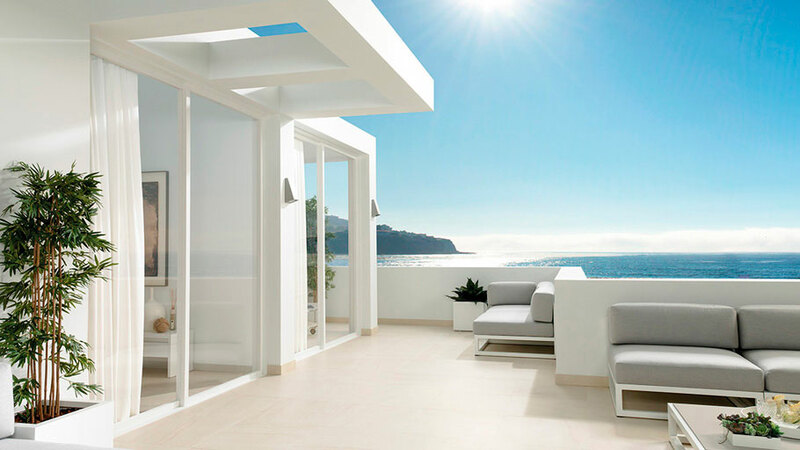 Apart from its rough surface, these designs are able to imitate beach sand colours, such as the beige, grey and black. The latter cases are inspired by volcanic sand. 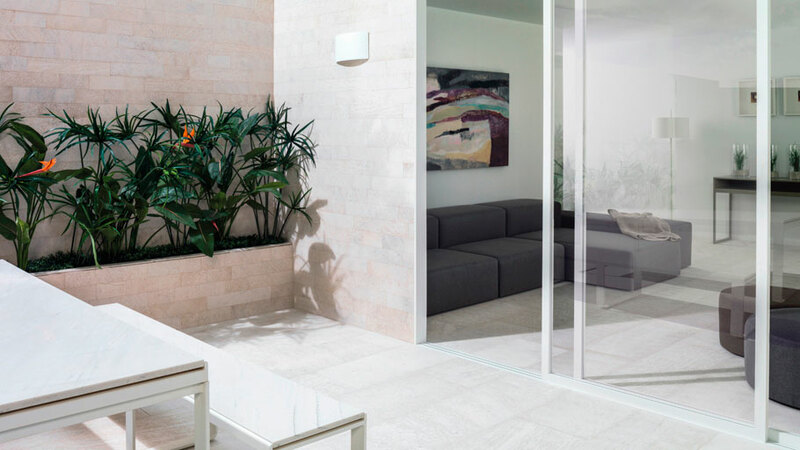 The Urbatek firm offers its Stuc through-body porcelain tile in order to achieve that original sand-effect, all of this with the maximum guarantee of resistance and anti-slipping. 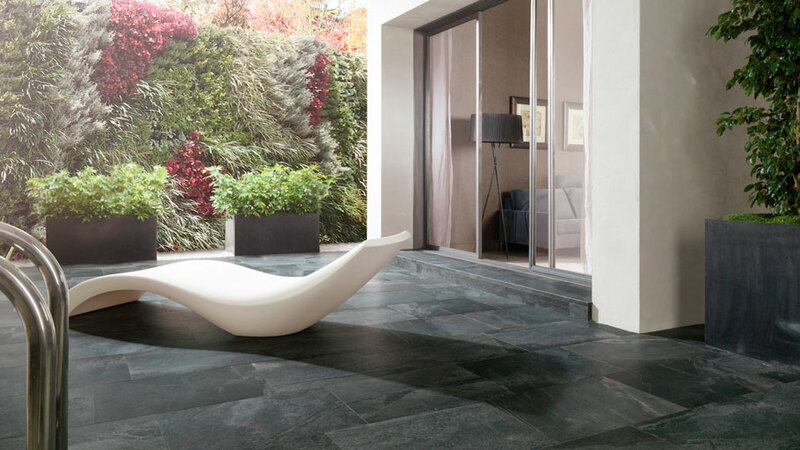 Likewise, Stuc is a 35% recycled material with a large format: 119x119cm. 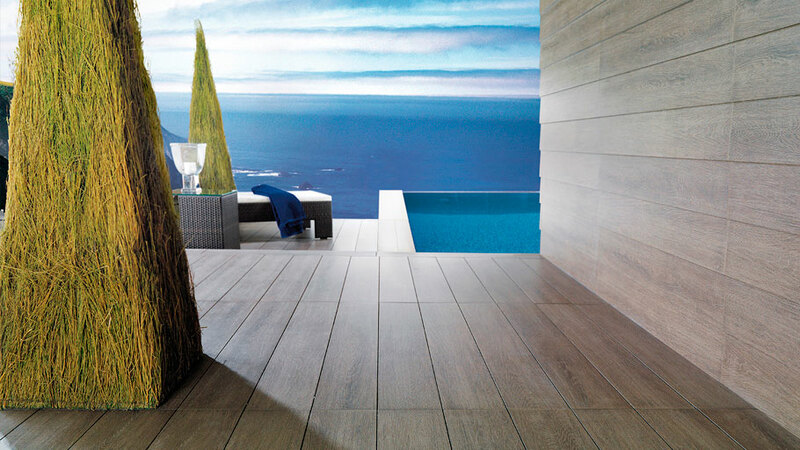 Kaos, Row and Dublo are other collections by Urbatek which turn out to be ideal for either a terrace or a swimming pool, both of them inspired by a stony appearance. 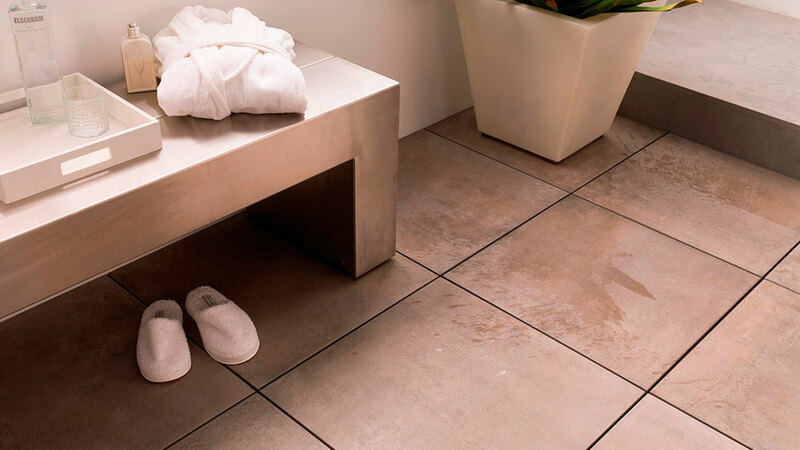 Apart from its resistance and anti-slip properties, the through-body porcelain has low-porosity properties too, thus, it is resistant to humidity and it is easy to clean. 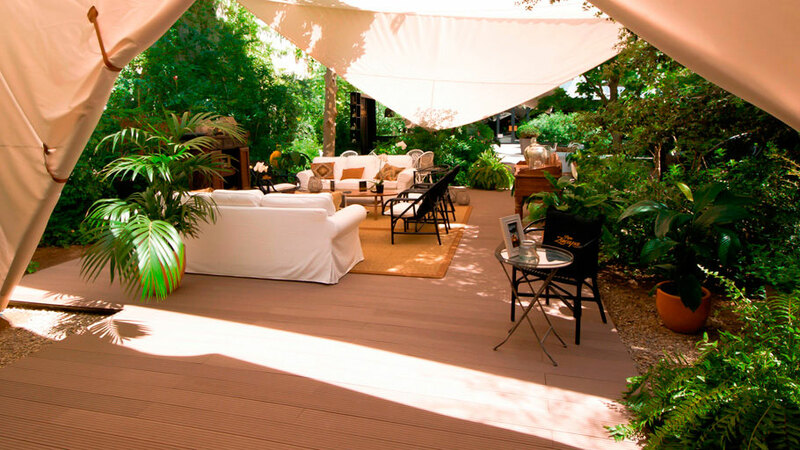 Outdoor decking has 100% anti-slip safety and is perfectly used in outdoor residential projects. It is ideal for terrace and swimming pool atmospheres, thanks to its resistance and unique designs. L’Antic Colonial banks on its Styledeck Plus collection by offering several colours and tones: Brown, Dark and Grey. 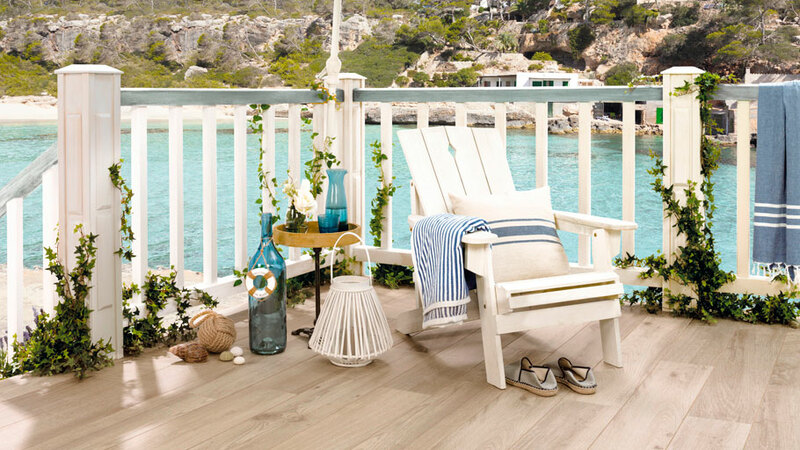 Furthermore, it is worth considering the installation of raised access flooring regarding outdoor options, with the guarantee of being a level 3 anti-slip flooring. 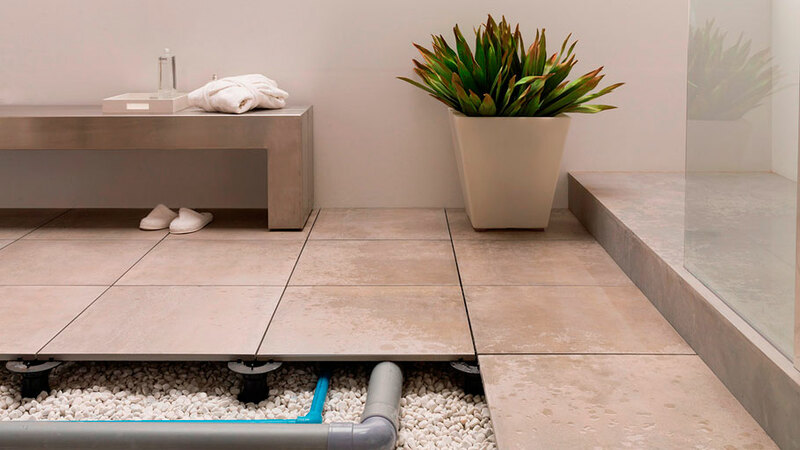 The building systems by Butech allow for the installation of porcelain tiles several centimetres off the ground, placed on either plots or plastic pins. 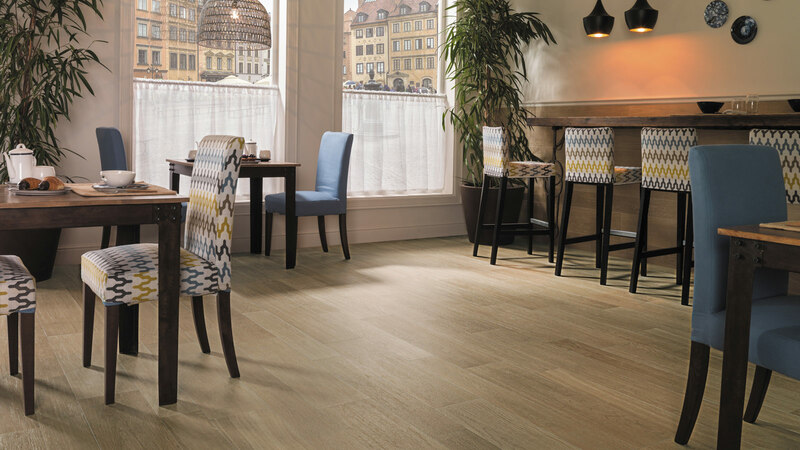 This kind of flooring requires a technical installation, however, it ensures resistance, anti-slipping, stability on uneven soil surfaces, and has both easy-to-install and easy-to-clean properties.